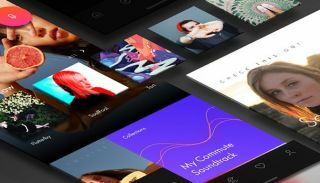 If the Adobe Creative Cloud has been one of those subscriptions you've been meaning to grab but the price has put you off, now might be the perfect time to get it. Offering a massive reduction of up to 40% off the price, getting one of the biggest names in creative software doesn't have to cost the world right now. This price reduction applies to the Adobe Creative Cloud suite, that means complete access to all of Adobe's 20+ applications all bound together in one all-encompassing package. This subscription will give you access to Premiere Pro, Photoshop, Illustrator, After Effects and all of the other key pieces of software a creative pro or keen amateur needs. You can even download the apps for each piece of software so you can work on the go. As if that wasn't enough, when you buy Adobe's full package you're also getting 100GB of cloud storage and premium features like Adobe Portfolio, Adobe Fonts, and Adobe Spark. This deal will be available until 10.59pm BST / 11.59pm CET on April 19 so if you want to save big on Adobe's entire suite of creative software, grab it within the next fortnight before it's gone. If you're located in the UK, you can save a pretty impressive 20% off an annual subscription to Adobe's full suite of creative software. That includes Photoshop, Lightroom, Illustrator, Premiere Pro and many more - that's some overall brilliant value on the all-singing all-dancing Creative Cloud. If you live in the rest of Europe then you're in luck, as the saving is even bigger. A massive 40% off can be yours if you're in the rest of Europe, that's a pretty major price reduction on what is usually a pretty pricey creative package and takes it under the €40-mark. Fantastic value, but only for two weeks.